Studio Lambert is a fast-growing independent television production company based in London, Manchester and Los Angeles. It is part of All3Media, the global production group (click here for further information about All3Media). 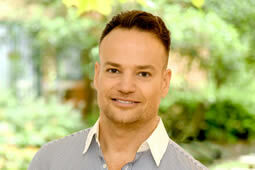 Stephen Lambert, creator of many well-known global formats, launched the company in 2008. It quickly grew a reputation on both sides of the Atlantic for making innovative and popular unscripted shows, including award-winning global hits Undercover Boss and Gogglebox, as well as The Circle and Four in a Bed. A scripted division was established in 2015 to produce high quality drama series with British and American writers, directors and on-screen talent. 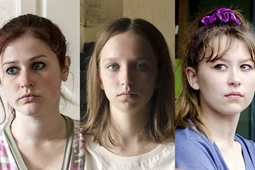 The first scripted show, Three Girls, won five BAFTA awards in 2018. Canneseries, the annual TV festival running alongside the MIPTV content market in Cannes, has unveiled the competition line-up for its second edition. 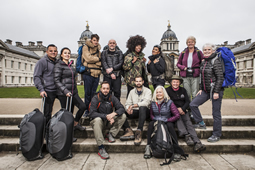 Studio Lambert’s new six episode travel adventure competition series launches on BBC Two at 9pm on Sunday March 3. Gogglebox has been nominated in the best popular factual programme category and Buy It Now in the best daytime programme category in the 2019 Broadcast Awards. Gogglebox has been nominated in the Best Factual Entertainment Award category in this year’s National Television Awards. The second series will have an extended run, a weekly live episode and ‘more mischief’. The re-commission follows the news that Netflix ordered three international versions of the format for the US, Brazil and France. 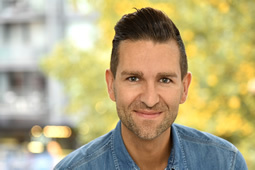 Studio Lambert is setting up a regional base in Manchester and has hired Darrell Olsen in the new role of head of unscripted, Studio Lambert North. Netflix has bought the global rights (ex-UK) of Studio Lambert’s new social experiment reality format The Circle. Three Girls has won the award for best TV drama at this year’s prestigious Prix Italia in Capri. 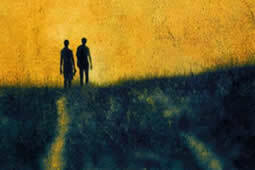 The judges said it was a powerful series, which tells a terrible but true story with a modern and engrossing direction. Studio Lambert has come top in the Peer Poll in the annual Televisual survey of the independent production sector. Gogglebox won the Best Entertainment Series Award and Three Girls won the Best UK Drama Award at this year’s Edinburgh TV Festival Awards. BBC Two has commissioned an ambitious new factual-entertainment series from Studio Lambert. BBC One has announced the commission of The Nest, a new six episode series from Nicole Taylor, the BAFTA award-winning writer of Three Girls, which will be produced by Studio Lambert with Sue Hogg as executive producer. The sizzling world of summer jobs in the sun is explored in this new show in which two teams of wannabe club reps compete to win the chance to work a season on the party island of Zante. Jack Burgess has been given acting responsibility for running Studio Lambert’s Los Angeles based American business following the departure of Greg Goldman. The Circle is a new popularity competition in which contestants are only able to communicate with one another via a bespoke voice-activated social media platform. 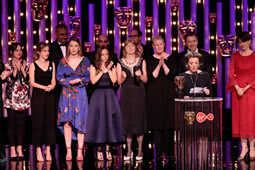 Three Girls has continued its remarkable success this awards season by winning two major awards at last night’s television BAFTA awards. 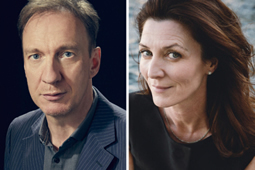 Guy Burnet, Nina Toussaint White, David Thewlis and Michelle Fairley are set to star in Studio Lambert’s upcoming psychological thriller. 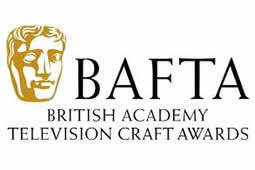 The writer (Nicole Taylor), director (Philippa Lowthorpe) and editor (Una Ni Dhonghaile) of Three Girls won BAFTA awards in their categories at last night’s BAFTA Craft awards. Jack Burgess has been promoted to SVP, development and current, for Studio Lambert USA and moves to the company’s Los Angeles base. Three Girls continued its winning streak picking up the award for Best Mini-Series at the Royal Television Society’s Programme Awards and for Best Mini-Series at the Broadcasting Press Guild Awards. 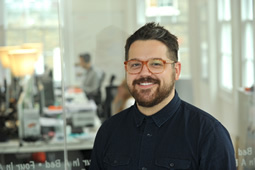 Mike Cotton has been promoted to the newly-created position of deputy creative director. Studio Lambert has secured the backing of Amazon, Liberty Global and All3 International for a first season of ten episodes of psychological thriller The Feed. Three Girls continued its success in this year’s awards season by beating The Crown, National Treasure and Apple Tree Yard for the Broadcast Award for Best Drama Series and Serial. 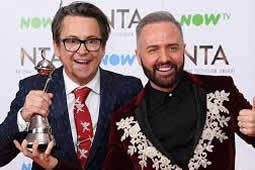 Once again Gogglebox triumphed at the National Television Awards winning the Best Factual Entertainment Award. Studio Lambert head of drama Sue Hogg won the Envy Producer Award at the Women in Film and TV Awards at the London Hilton this week. 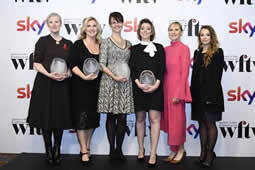 Last night (Monday 27th November) Three Girls took home two awards from the Royal Television Society Craft Awards. Celebrity Gogglebox returns once again this week with a star-studded cast. This is the fourth time famous faces have agreed to take part in a special version of the show to raise money for Stand Up to Cancer. Three Girls won the award for best film dealing with modern day slavery at the Anti- Slavery Day Awards, an event which takes place at Speaker’s House. 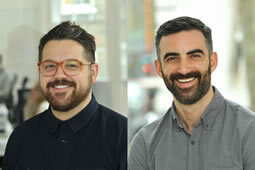 Three of Studio Lambert’s productions have been nominated at the long-listing stage of The National Television Awards. Britain’s inventors, makers, and licensees of products are being given the chance to sell their new wares in front of potential customers and the buyers of major retailers. All 4 has commissioned Studio Lambert to explore the culture of tattoos in Britain’s prisons in Sketch’s Prison Ink. Up and coming amateur food producers from across Britain will promote and sell their delicious wares in a real shop in the heart of the Yorkshire Dales in a new BBC Two series. Three Girls took home the Special Jury prize for Best European Drama at the Festival de la Fiction TV. Body Fixers returned to E4 with its top team of beauty professionals from the world of cosmetics, dentistry, hair and beauty on August 10th, 2017. Spa Wars, a new series in which owners of beauty saloons try each other’s services and rate them, launches on ITVBe on the 28th June. 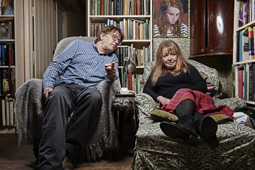 Studio Lambert has continued to tap into the success of Gogglebox, securing a second spin-off series which will revolve around a cast of teenagers. Three Girls, the 3 x 60’ BBC Studios/Studio Lambert drama series written by Nicole Taylor and starring Maxine Peake, will air on BBC One at 9pm for three consecutive nights from Tuesday 16th May to Thursday 18th May. The show documents the personal and professional lives of a group of several women who are or to become the second or third fourth or fifth wives, to wealthy and successful men. 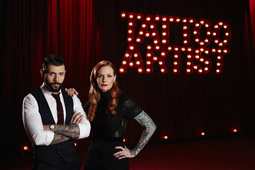 Studio Lambert's competition to find the best tattoo artist has launched on E4. It is hosted by Tattoo Fixers regulars Jay Hutton and Roe Hardy. A new series of Doctor in the House has been ordered by BBC One. 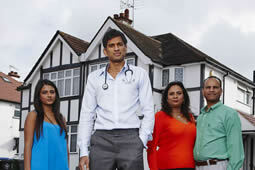 In the new series Dr Rangan Chatterjee observes in each episode the daily routines of two families with a chronic health complaint. The fourth series of The Great Interior Design Challenge has started airing on BBC Two in a new 8pm midweek slot. Joining the judging panel this series is design guru Kelly Hoppen.